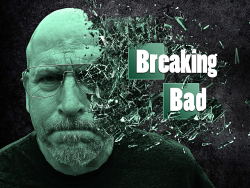 One area church is taking the popular TV show “Breaking Bad” to a new level. Community churches of Bradford and Port Allegany. bringing restoration to people’s messy lives. “I’ve seen financial heartache turn to financial freedom,” Willoughby said. Perfect people aren’t in attendance at Open Arms, he said. out, and who gave their hearts and lives to Jesus,” Willoughby said. Street, and in Port Allegany at 9:45 a.m. or 11:30 a.m. at 105 Smith Ave.
Posted by openarms on Oct 1 2015. Filed under Local News. You can follow any responses to this entry through the RSS 2.0. You can skip to the end and leave a response. Pinging is currently not allowed.